Congo is a game telling the stories of this era, featuring White Men Expeditions, caravans of the Zanzibar, forgotten Forest Tribes and mighty African Kingdoms. 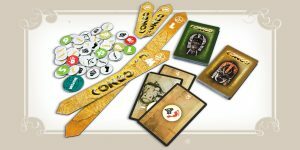 Mixing different game mechanisms such as action cards or totem cards, that grant special abilities adding unexpected twists and detailed adventures. 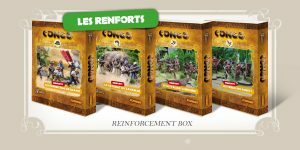 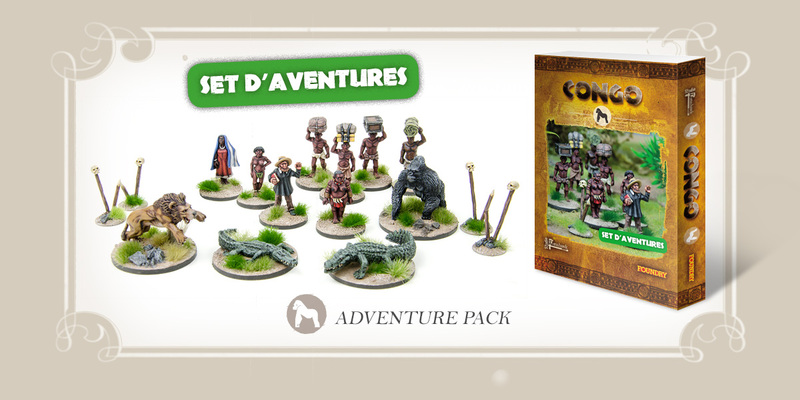 Congo presents a new approach th the miniature adventure gaming, blending trilling adventures and a strong and tactical game system. 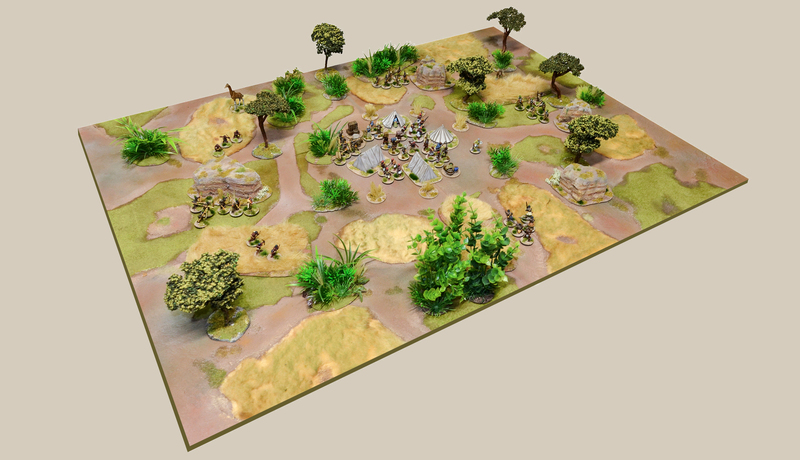 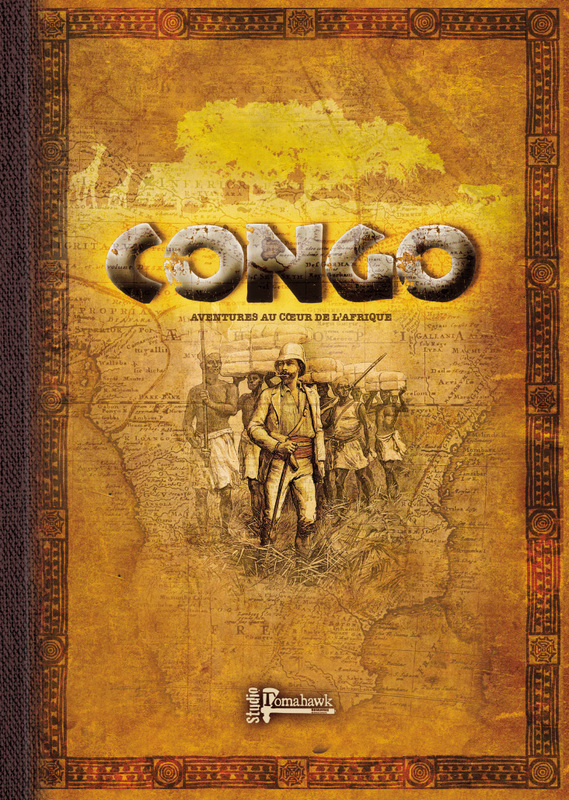 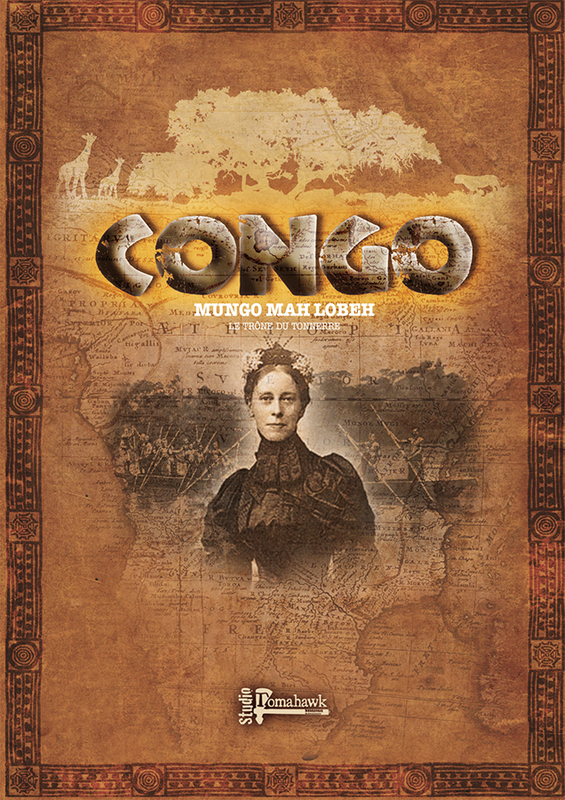 The rulebook of Congo details the rules, the different cultures available to play along with modelling tips. 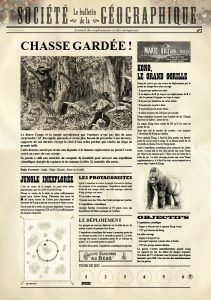 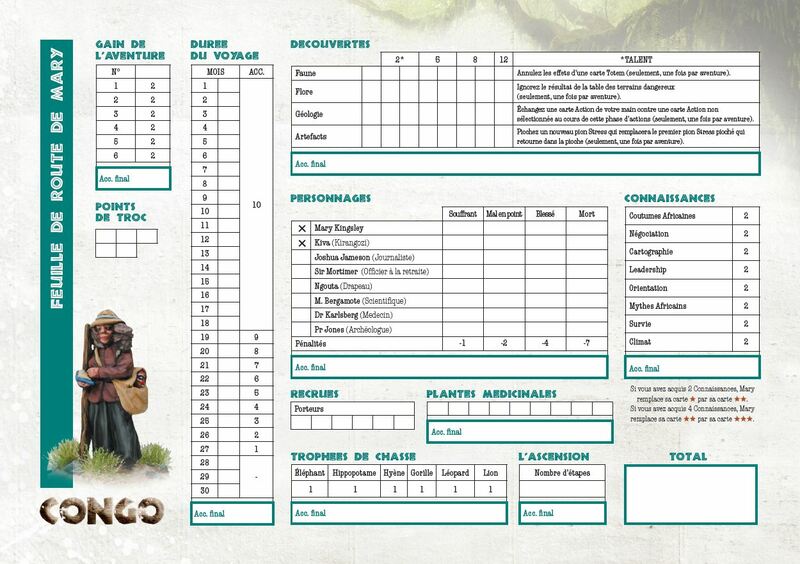 The book comes with 4 Bulletins de la Société Géographique, that chronicle the 8 scripted adventures of the game, a deck of cards, a dangerous terrain chart, a punchboard with all the tokens and measuring sticks needed fir the game. 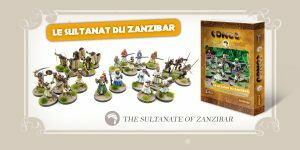 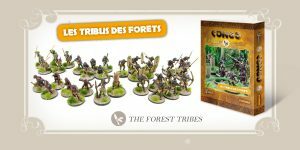 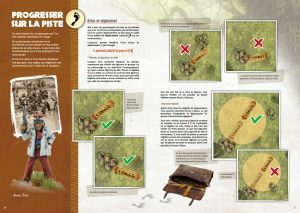 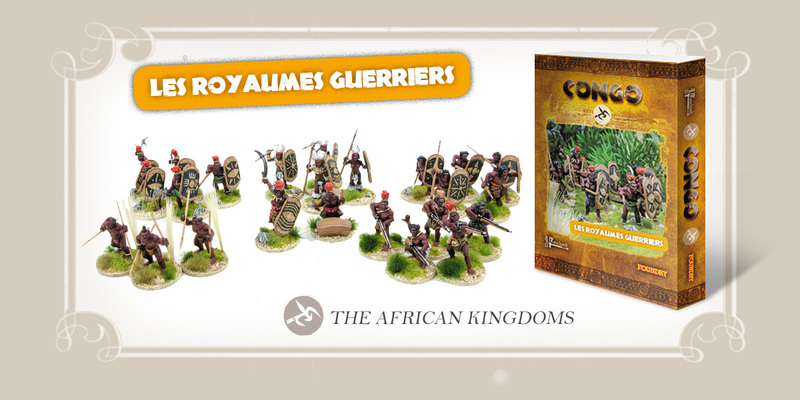 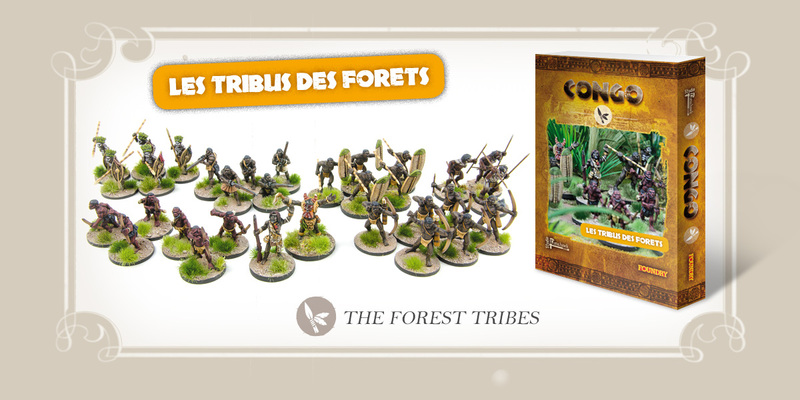 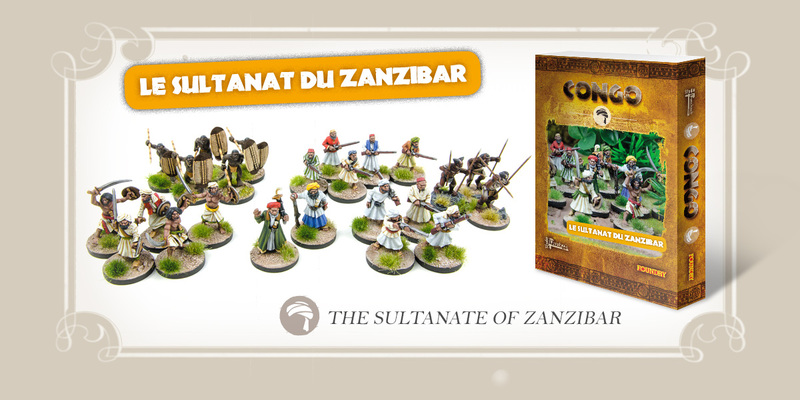 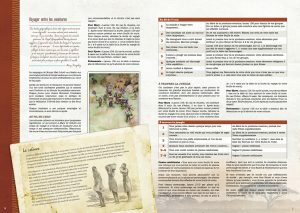 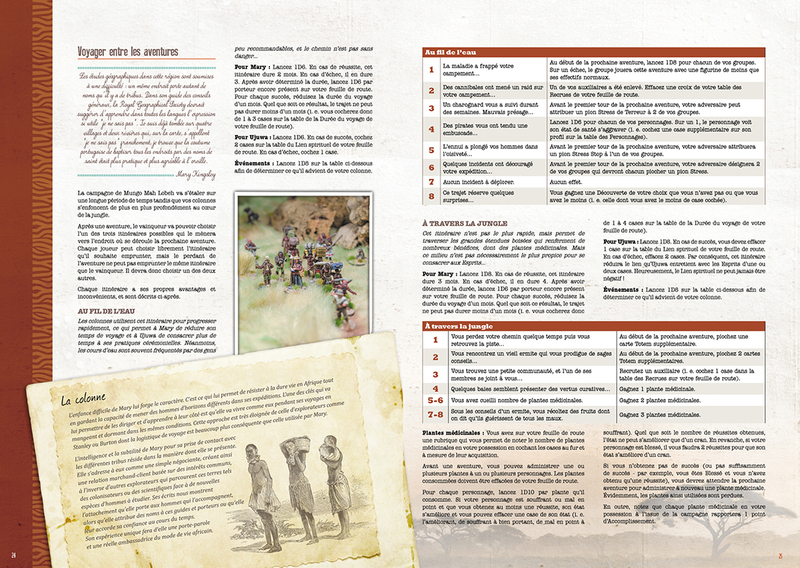 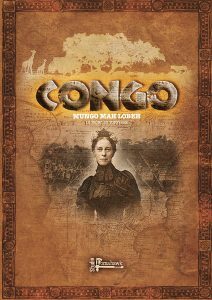 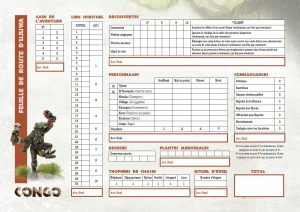 The rulebook of Congo presents the rules, the different cultures you can play and some modelling tips. 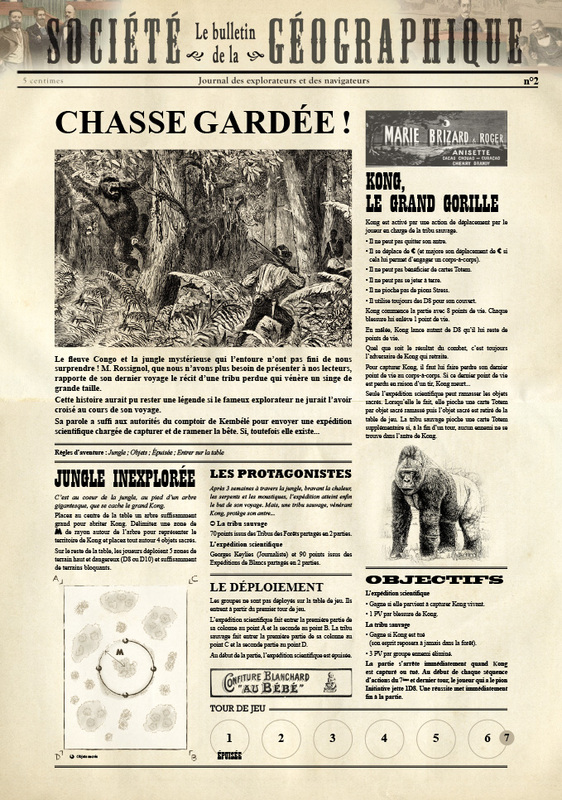 The book comes with 4 Bulletins de la Société Géographique, that detail the 8 adventures of the game, a deck of card, a dangerous terrain chart and a punchboard with all the tokens and measuring sticks needed for the game.